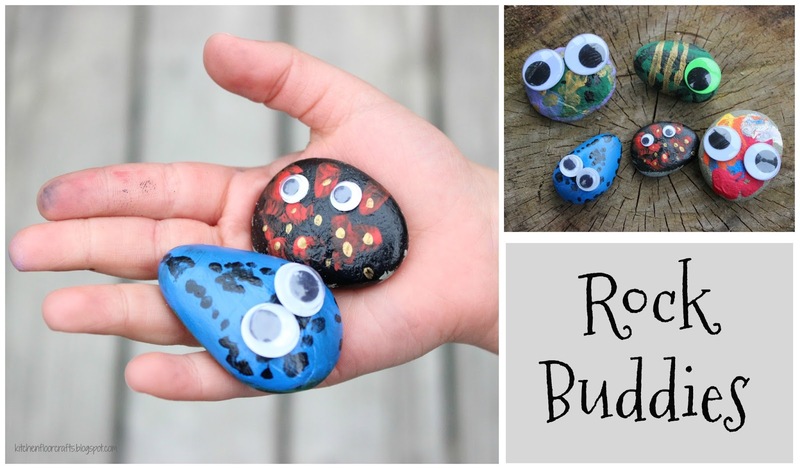 Sometimes the best crafts are the simplest - and I forgot how simple and fun these Rock Buddies can be. I didn't remember until earlier this week when we made some with Little Brother's best buddy on a playdate. So of course we had to make some more once we remembered how simple and fun they are! This is a great after school or weekend craft - or even a summer boredom buster. The materials are easy to gather and the project finishes up very quickly. 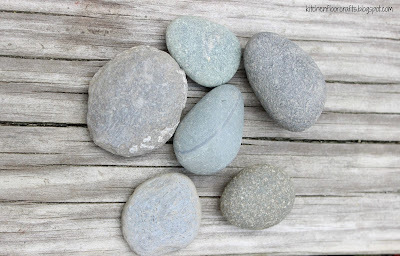 We usually start by gathering round, smooth rocks. 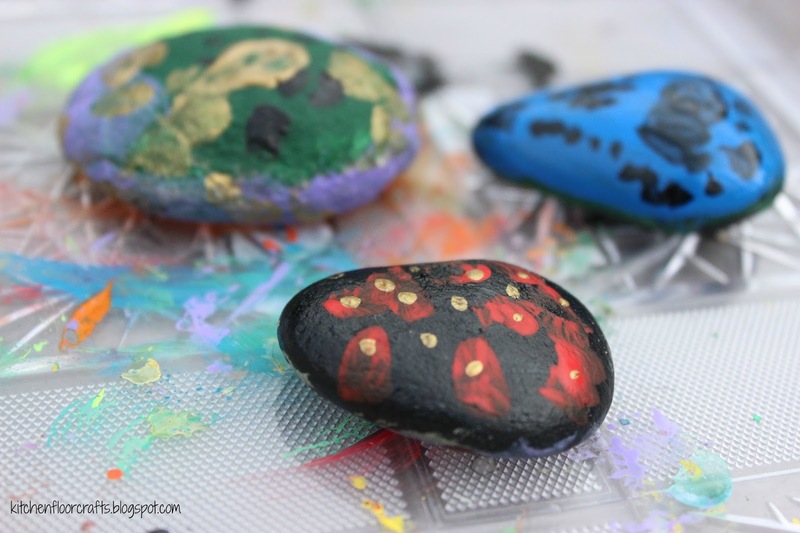 Although this project could be done with any type of rocks, the paint sticks a little better to smoother rocks. 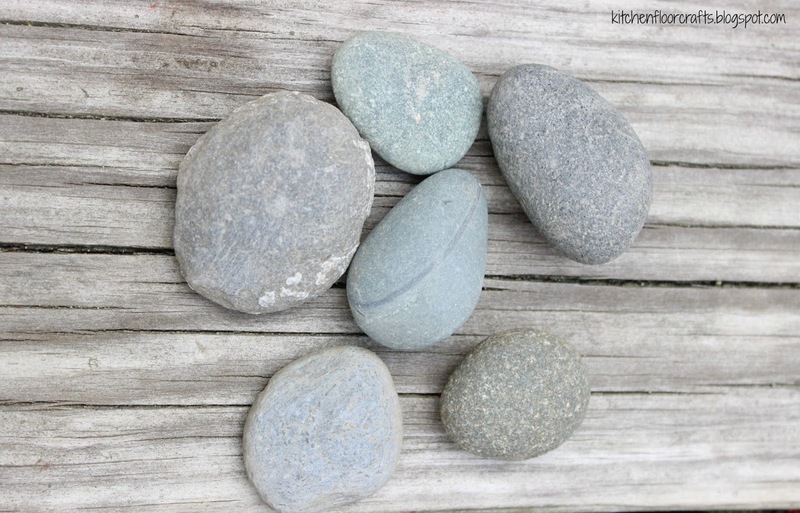 We usually look for the rocks on an afternoon walk, but this would also be great on a beach or lake trip. 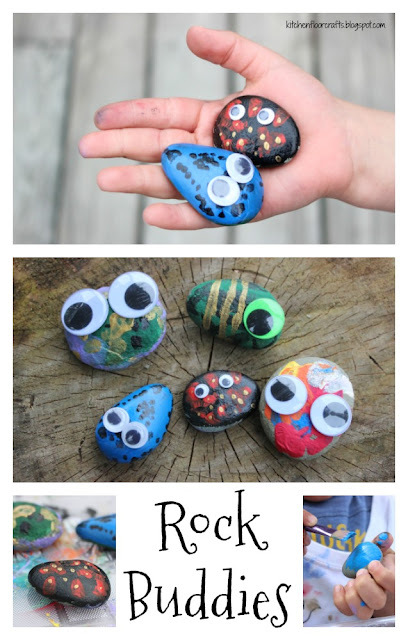 To begin with, kiddos paint the rocks with the craft acrylics. 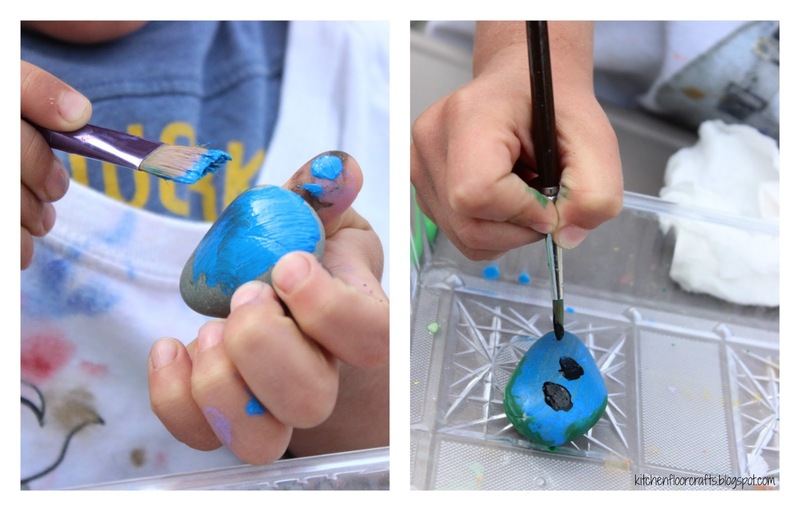 I always let my kiddos chose their colors. It's fun to see the different designs and style techniques they like to try out. On this most recent round Little Brother was really into dots. After the rocks are painted, let them dry. In our case, just a little time out in the sun dried them right away. Once the paint is dry use the super glue to attach the googly eyes to the rocks. (Note: the super glue step is an adult job.) We use super glue as it is more likely to attach the eyes to the rock then regular craft glue. 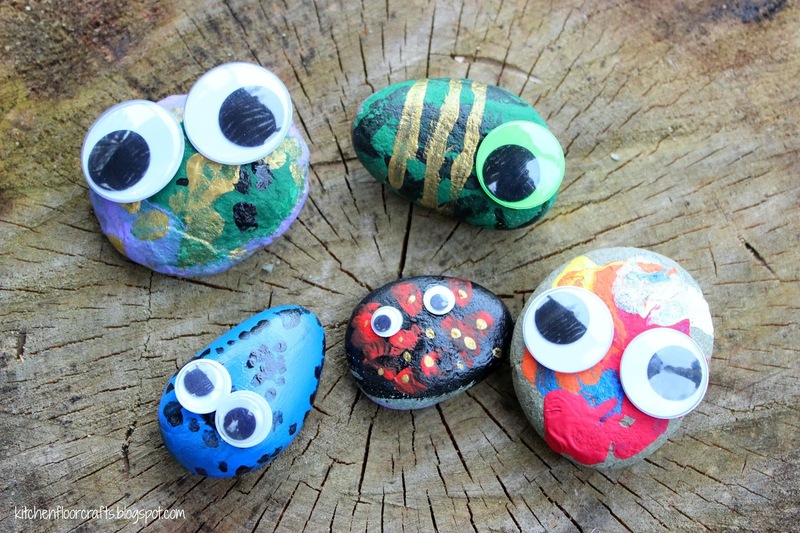 I always have the boys show me where they would like the eyes to be on their rocks. Once the glue is dry the the rocks are officially ready to become Rock Buddies! They can be kept in a pocket, used in a game, or even taken on a walk. I'm also thinking they will be adorable hidden in gardens!